I wanted to build a website composed of some of the excerpts from my Bible studies that might be of use to others. Not being a web developer, I had only used FrontPage web development software in the past, but had since moved on to an Apple computer and wanted an easy, but robust web development tool where I didn't have to use web development languages. 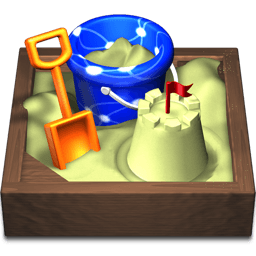 Sandvox got excellent reviews and the price was reasonable, so I purchased it. Sandvox was a tool that appeared very easy to use and I didn't have to know web development languages. The templates were also good, which helped provide many web page design options. The beauty is also that if you tire of one design, you can fairly quickly change the overall site design without having to redevelop your website. Sandvox's intuitive templates and tools allow one to focus on site content and not as much on design and the technical nature of coding.